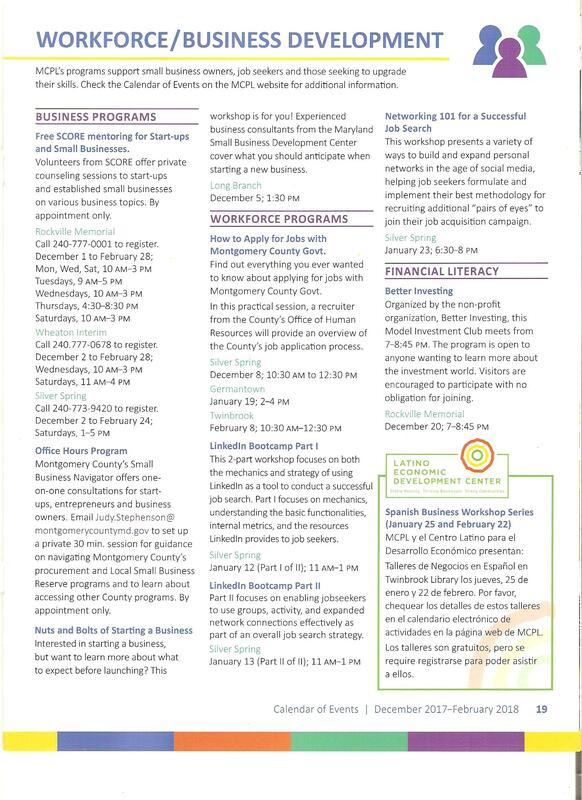 Here is a scanned page from the Montgomer County Public Library advertisement booklet. Below is a list of events and resources that can help individuals who are currently looking for employment. Notice on January 19,2018 (Next Friday) in Germantown Public Library from 2-4pm, there will be a human resource specialist who will talk about the process of applying to local county government jobs. To attend this event please don’t forget to register online at the Germantown library website. The deadline is Friday 1/19/2018 at 1:00pm.